Any auto accident lawyer Denver CO can trust will tell you that despite various laws, safety initiatives and constant public education, auto accidents are still far too common in Colorado. It sometimes seems that there is a fatal or serious car accident in the local news every day of the week. Accident causes run the gamut from simple human error to poor road conditions, but no matter what’s behind an accident, the human cost remains a price that is too high for anyone to pay. There are always factors out of your control when you’re behind the wheel, even if you’re an incredibly vigilant driver with a spotless record. From a driver who is too busy changing the radio station to a dangerous intersection, there are a lot of hazards you can’t counter with perfect defensive driving alone. One simple misstep from another motorist can take you from driver to victim in just the span of a few seconds and also harm other passengers in your car. An auto accident can leave you with a tremendous medical and financial burden, and it’s one you should not have to bear alone. If you’ve been in an accident, you might not jump to an auto accident lawyer Denver CO can rely upon, because of the stress and difficulty of the situation. With everything you’re trying to handle, seeking help can almost be an afterthought. However, with experienced legal assistance from an auto accident lawyer Denver CO trusts, like those at The Law Office of Richard J Banta, P.C., your rights will remain intact and you won’t have to feel lost or helpless when it comes to Colorado’s complicated laws and the big insurance companies. We will do the work so you can focus on getting better instead of trying to juggle everything on your own. We will work with you to determine what kind of compensation you’re entitled to under state law based on the specifics of your case. Throughout the entire process, we will be here and available for you to ask questions, and we will keep you updated so you always know what is happening. Our knowledge and skills, as auto accident lawyer Denver CO residents know they can count on, will be put to work for you in a way that is beneficial for your case and your full recovery. As an auto accident lawyer Denver CO locals recommend can tell you, sometimes accident injuries are not noticeable until days, weeks, or even months later. 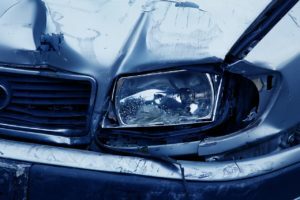 People who are suffering a serious injury after a crash they didn’t cause should consider contacting a Denver auto accident lawyer from the Law Office of Richard J. Banta, P.C. It may be in your best interest to contact an auto accident lawyer Denver CO motorists turn to before providing an official statement to the insurance company. It may also be helpful to your claim to see your doctor immediately for a health evaluation. The doctor’s diagnosis of your injury can verify your claim of being hurt in the accident. Below are some of the most common types of injuries that may not present with immediate symptoms. 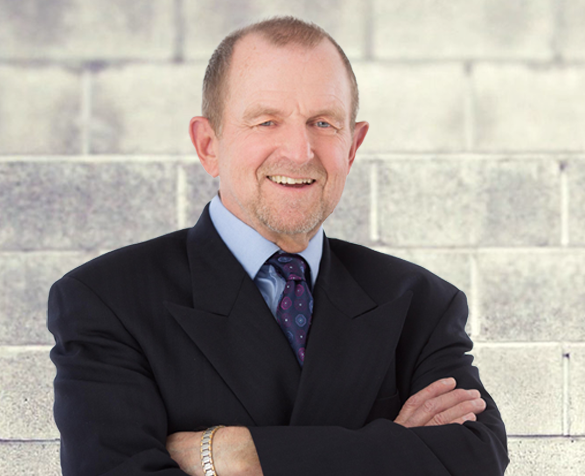 As an experienced auto accident lawyer in Denver CO, Richard J. Banta, P.C. is well aware that every symptom and injury should be taken seriously. Headaches can arise a few days after the accident and do have the potential to become a serious problem, such as blood clots or a concussion. Whiplash is a common condition associated with vehicle collisions. Whiplash can happen even if both cars were driving at a slower speed. If muscle, nerves or ligaments in the back area were harmed as a result of the car accident, it can lead to intense back pain and problems. If you have discomfort in your abdomen area in addition to feeling dizzy or fainting, it could be a sign of internal bleeding. You may also see bruising of a deep purple color. Internal bleeding can go unnoticed for hours or even days after an accident. This is a serious condition that may be life-threatening. It is not uncommon for victims of a car accident to experience Post Traumatic Stress Disorder (PTSD). Victims may have disturbing memories and nightmares of the incident. They may need extensive therapy in order to put the collision behind them. An auto accident lawyer Denver CO victims trust can help you seek compensation to cover your therapy costs as well as pain and suffering. Signs of a traumatic brain injury can include difficulties with thinking, movement, hearing, vision, and personality changes. An auto accident lawyer Denver CO residents choose can help you recover your damages with a settlement that can allow you to get the medical treatment you need. Many people are not aware that they may have sustained serious injuries in a car accident. Visiting your physician or chiropractor for a full exam can reveal unknown injuries. A medical professional can run diagnostic tests to see if there are any abnormalities. You may only have a certain period of time to seek compensation for your car accident injuries. Please contact the Law Office of Richard J. Banta, P.C. today at 303-331-3415 to schedule a free consultation with an auto accident lawyer Denver CO offers. At The Law Office of Richard J Banta, P.C., our focus is you. We look at the impact your accident and injury will have on you and your loved ones physically and financially in the short-term and the long-term. You will decide all matters relating to your state of recovery and your damaged property while we will make legal decisions with your input using the best strategy to handle your particular case. Our joint goal is your physical and financial recovery, and we will do whatever we can to ensure you receive what you deserve. You don’t have to go it alone if you’ve been injured in a car accident. Use the help of an experienced auto accident lawyer so you have the chance to receive the best outcome for your case in the least stressful way possible. Contact us by calling 303-331-3415 to get started on your road to recovery as soon as possible.